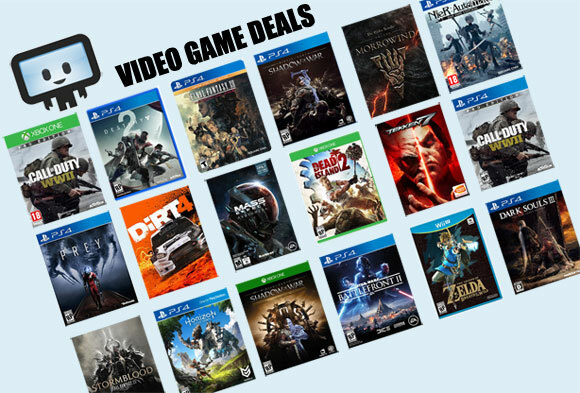 Get all the video game deals to your inbox. Join 100,000+ Dealzon readers for daily dose of gaming deals. No thanks, I'm good with my current amount of game deals. The average price for this game in the past 6 months is $6.81. The game first became 50% off on Dec 26, 2014 at Green Man Gaming. Lowest historic price was $5.74 on Oct 26, 2017 at GamersGate. Today only discount on Ultra Street Fighter IV at GamersGate. Decent 40% off after $12 instant savings. Lowest price we've seen in months. Ultra Street Fighter IV is 40% off this weekend at GamersGate. A few bucks off its all time low, but still a very reasonable $12 discount off the usual $30 MSRP. New lowest price on Ultra Street Fighter IV from GMG as Winter Sale continues. This is cheaper than Cyber Monday sale and significantly cheaper than Steam Winter sale price too. Not too shabby a price on the August 8th releasing Ultra Street Fighter IV for PC. GMG's got the pre-order 25% off after coupon which ties the best pre-order offer seen thus far. Pre-ordering also gets you a bonus "Challenger's Pack" DLC, which gets you access to all previously released costumes for the series. Ultra Street Fighter 4 now available for pre-order today at Green Man Gaming. There they have a 20% off coupon code dropping the price from $30 to $24. The average price for this game in the past 6 months is $3.36. The game first became 50% off on Dec 26, 2014 at Green Man Gaming. Lowest historic price was $2.92 on Apr 23, 2018 at Green Man Gaming. Well the 25% coupon is dead, but hey there's a 20% off coupon for the Ultra Street Fighter IV Upgrade. This Upgrade pack will require you to own Super Street Fighter IV Arcade Edition on Steam, but if you dont' just get the USF 4 full game for $24 after this same coupon. Have Street Fighter IV Arcade Edition on Steam? Grab the upgrade for only $11 and you'll be on your way to enjoying USF IV, which releases later this Friday. The average price for this game since released is $16.04. The game first became 50% off on Mar 1, 2012 at Amazon. Lowest historic price was $7.49 on Aug 31, 2014 at GameFly. The average price for this deal since released is $20.30. Lowest historic price was $4.99 on Sep 1, 2016 at Nintendo Store. Another good pick from Best Buy's summer gaming sale, Super Street Fighter 4 for Nintendo 3DS is only $10. Previous low was $15 back in March for a short period, so this is a steal considering the game still goes for close to $20 at most stores. The average price for this game since released is $27.49. The game first became 50% off on Jan 26, 2015 at Best Buy. Lowest historic price was $12.99 on Mar 10, 2015 at GameFly. New low on Ultra Street Fighter IV on Xbox 360 and PS3 for $20 at Best Buy. The main changes include the addition of 5 new characters, including Poison, Hugo, Elena, Rolento, and an all-new unannounced character. A few nerfs and buffs to the old characters to help out the competitive scene. The average price for this game since released is $31.12. The game first became 50% off on Jan 26, 2015 at Best Buy. Lowest historic price was $19.99 on Jan 26, 2015 at Best Buy. The average price for this game since released is $14.72. The game first became 50% off on Dec 8, 2011 at Amazon. Lowest historic price was $5.62 on Jan 7, 2014 at Green Man Gaming. If you're grabbing "Ultra Street Fighter IV" you can order the full version of the game for $24... or use a combo method to get the game for only $19.50. Grab this Arcade Edition on sale at GamersGate for $7.50 then grab the Upgrade Version for only $12. Bam. Instant workaround. Okay, it's been a penny cheaper before, but this deal is basically the cheapest we've seen Super Street Fighter IV Arcade Edition. Like having the arcade in your house, but you get to keep playing forever for only 24 quarters. Take that, traditional arcade. Cheap Super Street Fighter 4 Arcade Edition, only $7.19 at Amazon. Requires GFWL (Games for Windows Live) account for installation and online play. If you're up for some PC arcade action this weekend, Super Street Fighter IV Arcade Edition is a pretty hot deal at Green Man Gaming. The 75% off instant savings stacks with a 20% off coupon dropping the price to eight bucks - the lowest ever seen. Elsewhere $40. Initially a DLC for Stree Fighter IV, Super Street Fighter IV is too big it was turned into a game on its own. Released in April 2010 for all platforms, the game also released a 3D edition in March 2011. The game has smoother animations and great background. The characters have more personalities and emotions. Cut Scenes present a comical visual style. You can also smash objects and break items to unlock other items. The game received no neagative reviews from critics, stating that the original SF4 is almost a perfect game, and was made even better with the followup releases. This game offers un updated fighter list, better multiplayer modes, and better system for ranked matches. The system remembers the fighters you play and tell you which fighter you're good at. You earn battle points and player points that are ranked online. Overall, if a fan asks what fighting game to buy, critics recommend SSF4.